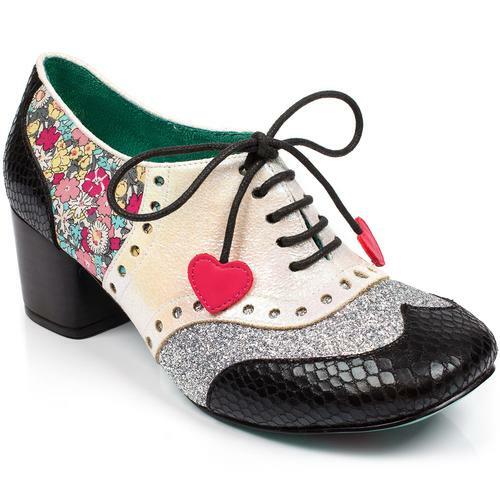 These Adore Me Poetic Licence by Irregular Choice heels invoke the era of flower power! Consisting of the upper front pattern embroidered in gold and the back, a soft velvet, embroidered with cute red and white daisies for that retro feel! 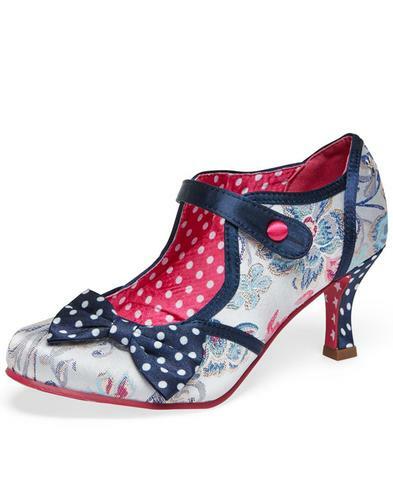 A T-Bar runs across the top complete with vintage flower beading for that extra pop and nicely compliments the silky rose rosette on the toe. 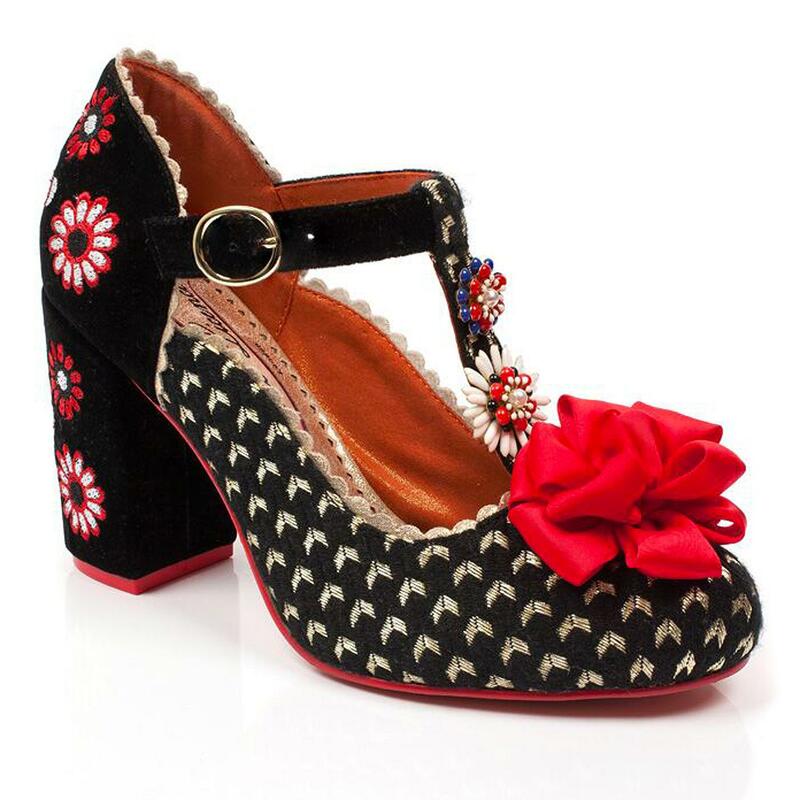 Adore Me also has a block heel, smothered in velvet and embroidery, for maximum comfort when you're out and about. 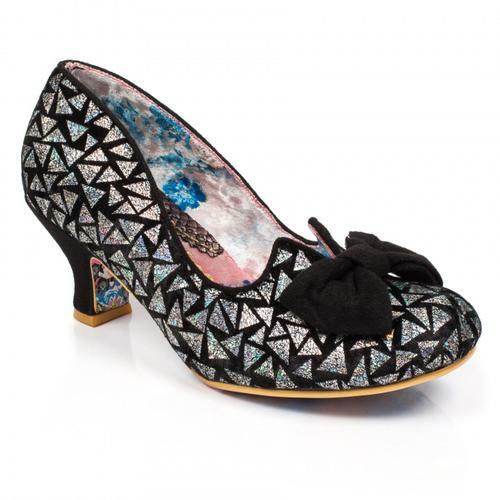 - Adore Me Poetic Licence by Irregular Choice floral velvet block heels in black. - Black velvet upper with gold embroidered pattern on the front and red, white and black embroidered daisy pattern on the back. - T-bar fastening with flower embellishment and gold buckle. - Glitter gold scalloped piping. - Embroidered velvet block heel. - Red silky flower on the toe. 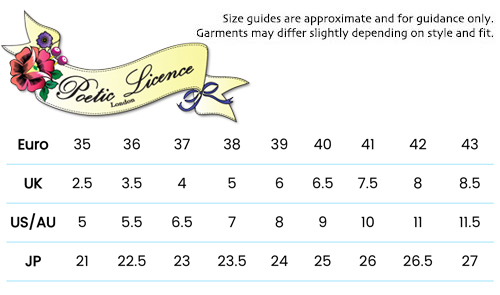 - Padded inner for comfort. 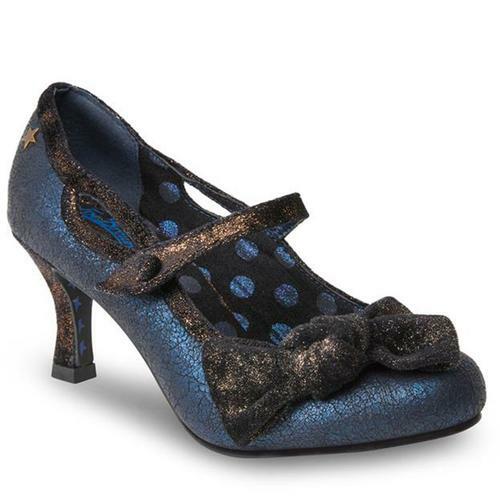 - Sturdy and shiny patterned sole.